Sonic & Knuckles is a 2D side-scrolling platform video game developed by Sonic Team and published by Sega for its Genesis console in 1994. An installment in the main Sonic series, it’s a direct sequel to Sonic the Hedgehog 3, which was released earlier that year. Meet the new Sonic’s friend and enjoy one of the best platform games of all times! This game is what Sonic 3 should have been. It has two times the levels, an additional playable character, and an entirely separate storyline. 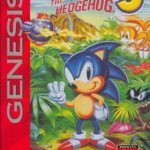 Unfortunately, Sonic 3 was released too soon and half-finished in order to meet deadlines. Nonetheless, Sonic 3 was a great game and a rightful iteration of the blue blur. But Sega wanted to make things right by delivering on their delayed promises. Thus, the game was born. Sonic & Knuckles was shipped as a ‘lock-on’ cartridge. Plugged by itself, gamers can play the new game normally. But if the Sonic 3 Cartridge is inserted on top, the game becomes Sonic 3 & Knuckles – the full product that Sonic 3 was meant to be. Sonic is the same old speedy hedgehog, while Knuckles can glide and climb walls aside from running fast. Control has always been the Sonic saga’s strength and was inherited by Sonic & Knuckles. After all, a fast-paced game will be a nightmare with struggling controls. Pushing a button or sweeping on the directional pad equates to lightning reaction from the game. It was a fun, fast game with fluid control. Sonic & Knuckles, like the Sonic video games before it, is a visual treat. The new moves endowed to Knuckles introduces new animation techniques as this character is now able to fly short distances and scale cliffs and walls. Skipped frames are not present, which shows how the developers have mastered the Sega Genesis architecture. The catchy tunes that have become anthems for Sonic fans still remains in this installment. New sound effects are introduced which bring life to the characters’ actions. Gamers who have purchased Sonic 3 will find the game gain a new lease in life with the addition of Knuckles and new levels. But that doesn’t mean Sonic & Knuckles is not out to make a name on its own. Sonic & Knuckles game has been ported to Windows, Xbox Live Arcade, Virtual Console, and Steam.